Do you also have troubles with poor draining in your shower enclosure, as well as constant troubles with the sealing there? We have a suggestion for you, how to solve this tricky situation once and for all. You certainly know the problems of a shower enclosure with the typical raised tray. You have to re-seal it regularly, due to the poor installation, and when you are having a shower, you wade through water after a while. What can be done? 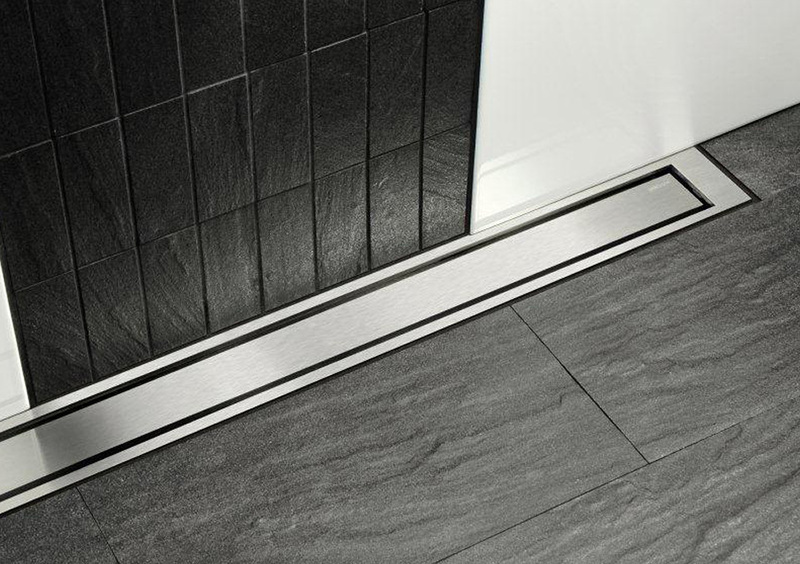 Unlike the existing systems, Unidrain is placed directly against a wall and better waterproof transitions between the vertical wall and the floor are provided by wall flanges. Application of a smoothing waterproofing layer should be sufficient, the interior shower enclosures do not need further sealing. Reliability and strength are ensured by the material of high quality stainless steel, which also has a good resistance to corrosion. The unilateral downward slope of the drainage area is beneficial primarily, as it prevents the formation of holes, which could hold water. 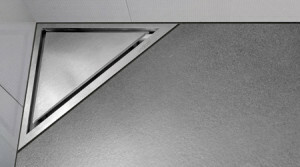 The Unidrain system was created by Danish architects. They obviously did not consider only the functionality, but also the aesthetics. Thanks to a simple installation which requires minimal cutting of pavement, the user can safely select large format tiles; these are installed on a completely flat surface. The design is very unobtrusive and, due to the stainless steel finish, it looks very clean.